Nir Gilandi - one of the most famous neurologists in Israel, with many years of valuable experience in the treatment of Parkinson's disease behind him, as well as violations of work-related musculoskeletal system. The future successful professional got higher medical education in Be'er Sheva State University. After that, the young doctor continued his education at the State University of Tel Aviv. Later Nir Gilandi led branch of the medical center of Carmel corresponding to his profile in the Israel. In parallel with the active medical practice doctor did not stop to improve his qualification level and regularly attended seminars and conferences on the treatment of neurological diseases. In addition, Nir Gilandi engaged in intensive research and teaching practice, comes in various professional organizations, writes scientific papers for publication in relevant medical journals. In the 1974- 1977. He is serving in the Israel Army as a military doctor. 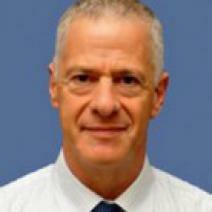 He trained and worked as a neurologist at the clinic "Carmel" in Haifa for a few years. There was a family doctor in the clinic Beth Shahan, clinics Kibbutz Beit Keshet and Lohmey-and-Getaot. From 1993 to 1996 he headed the hospital "Carmel", the department for the treatment of Parkinson's disease and disorders of the musculoskeletal system. Since 1996, Professor worked as a director in MC in our department of violations of motor function. He teaches at the faculty of Medicine at Tel Aviv University, the author of numerous scientific articles in medical journals. He has over two hundred scientific papers and articles (including those dealing with violations of gait in Parkinson's disease, epidemiology and genetics of this disease). Asked for help to Dr. NIR Giladi. Excellent neurologist. Helped me in treating my disease. Very responsive attitude, understanding and compassion. High-class specialist with extensive experience. The whole clinic is very good: cure of many diseases, including very serious.